Heritage pigs were what we ate before World War II and the rise of factory farming. grains, plus whey, and produced a fatter, meatier, more tender and tastier pork. lower fat content and is easier to overcook than heritage pork. of heritage pigs raised in the U.S.
chops. 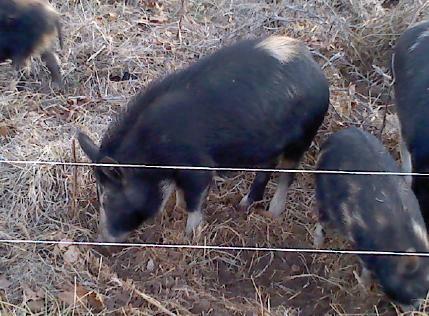 They're suitable for home pork and lard production and for niche marketing. industrial pigs that produce lean meat known for its consistency. buy in a grocery store. It's not a subtle difference."